raved about the Pantry’s use of fresh local produce, and declares it one of the few places he actually dines at. 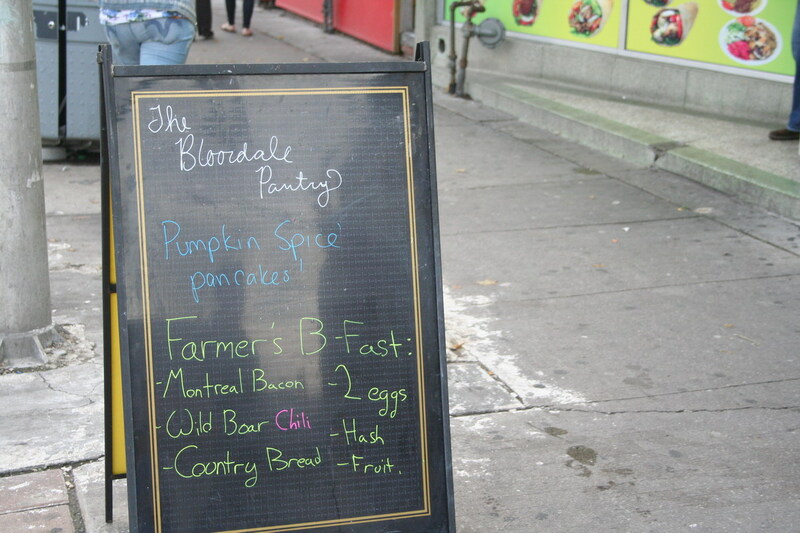 The Bloordale Pantry features daily specials based on available local ingredients, and change up their specials pretty often. 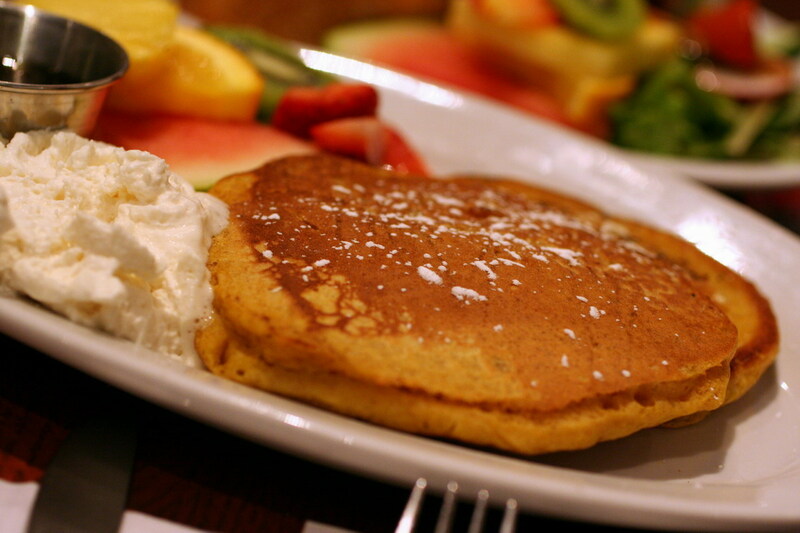 The Farmer’s Breakfast, Pumpkin Spice Pancakes, and Avocado Lemonade had rotated into the menu just recently, and were all getting great responses. We hopped in at 10am on Saturday morning, just when the doors opened. By the time we were seated with menus, the place was 80% full. 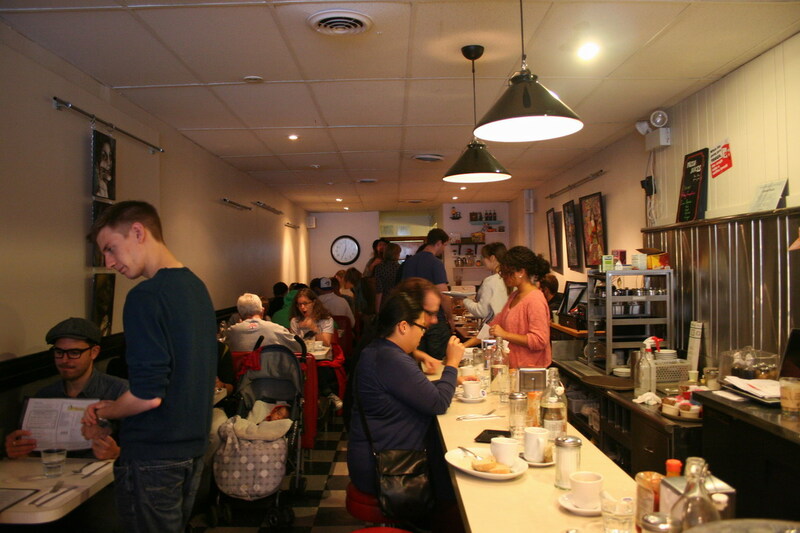 The service is comfortable and you never feel rushed, despite a gathering line-up by 11:30am. 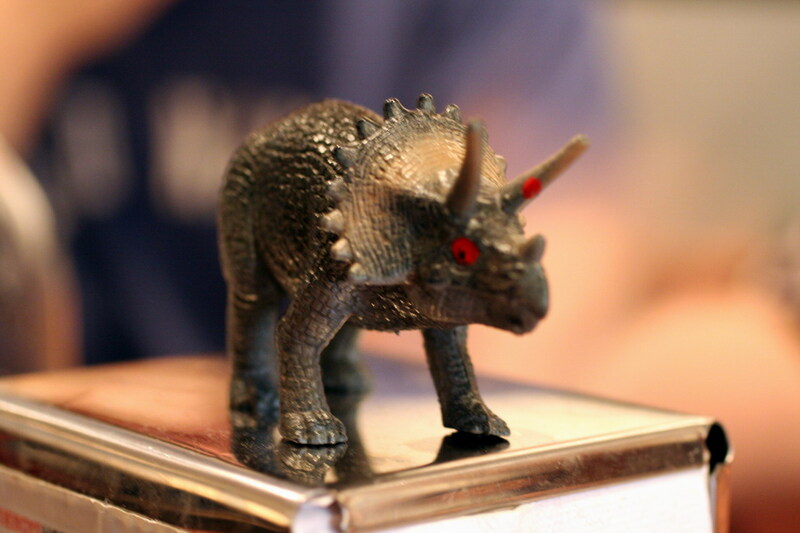 There are lots of little trinkets around the restaurant, including this angry guy. Clearly didn’t get his morning coffee. Incidentally, folks around the table really enjoyed the coffees at the Pantry, but I didn’t have a chance to partake. 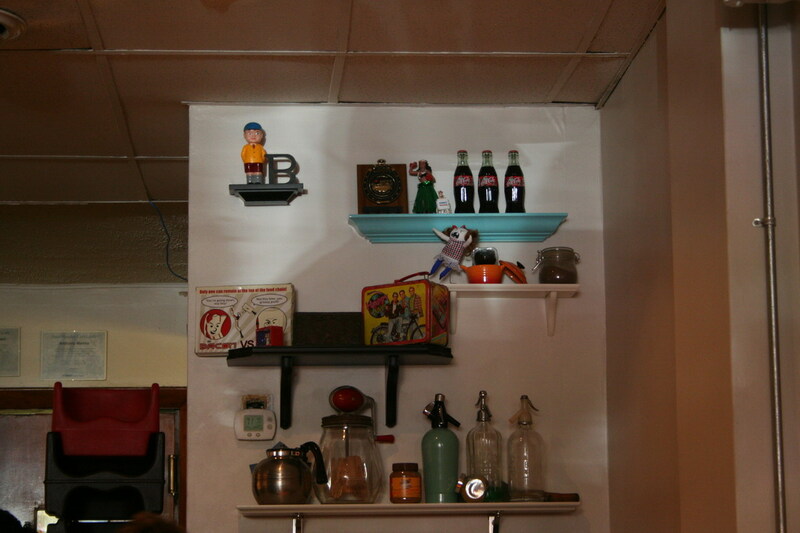 The back wall has more knickknacks, including tiny glass bottles of Coke. The Farmer’s Breakfast ($16) consisiting of eggs, bacon, chili, salad, potatos, and crusty country bread. They’re not messing around – this platter is huge. 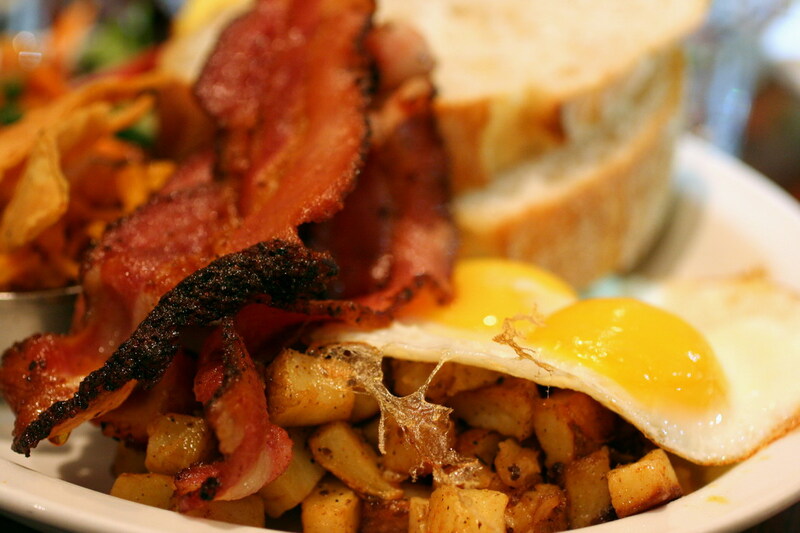 Great sunny-side up eggs with crispy edges, crisp thick montreal bacon, firm potato hashbrowns. Solid all-around. 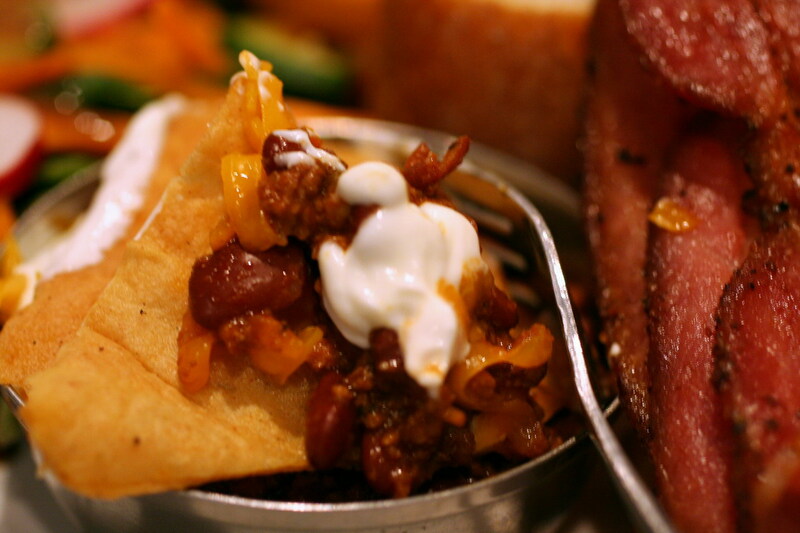 meat was more substantial than run-of-the-mill ground beef chilis. 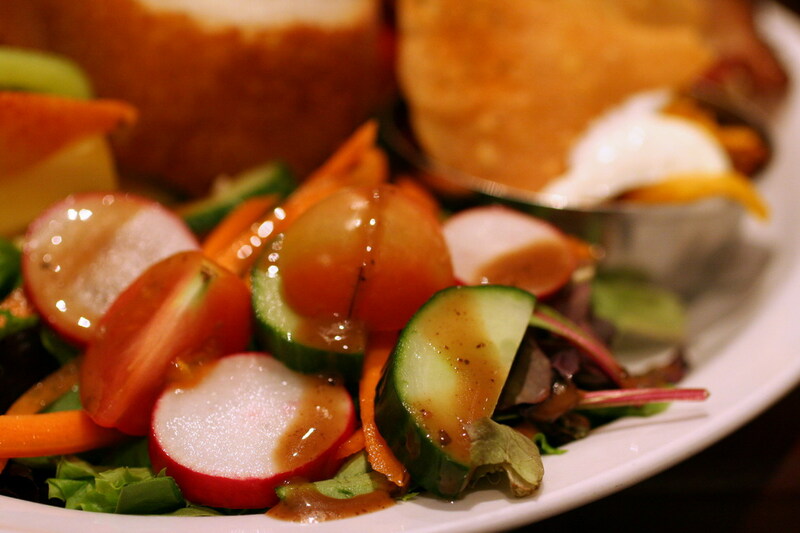 Fresh veggie salad, including radishes. Just good fresh produce, and the radishes weren’t bitter at all. Yes, this was all on the one big plate. during autumn, so get them while you can. 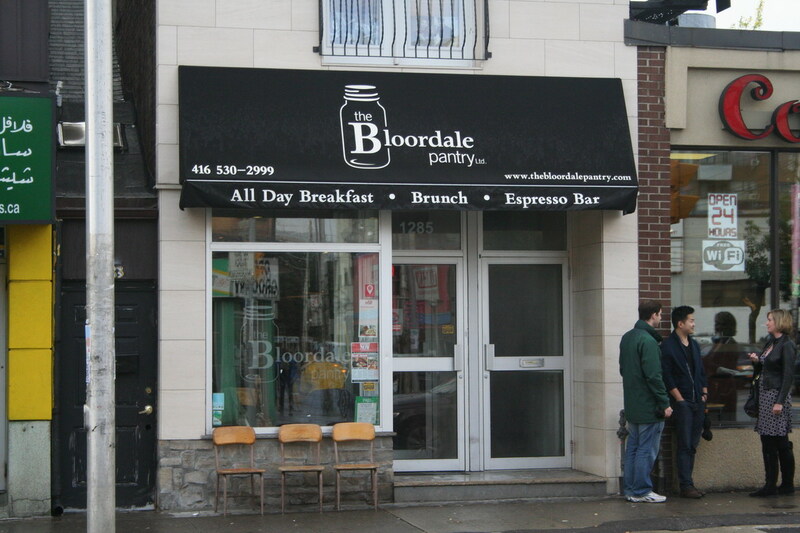 Definitely a great place for a hearty breakfast brunch, especially after a late Friday/Saturday night and you’re roused out of bed by a growling alarm clock tummy. I’m in the east end, but I’m absolutely willing to drive/travel for good food. I think ultimate, as much as they say “location matters” for restaurants, if food is great, people will come to them. I need to go brunching again soon.